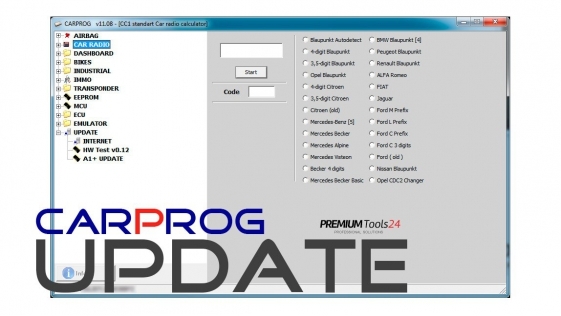 Now you can upgrade your any original CARPROG to full version ! This product is for those who previously bought original Carprog: BASIC, AIRBAG, IMMO and DASHBOARD. Please note that buying this software update. You will receive only software activation - no cables, no connection leads and any adapters are included. All software ready for sale at the moment-on the date of your purchase. Future CarProg products will be payable. 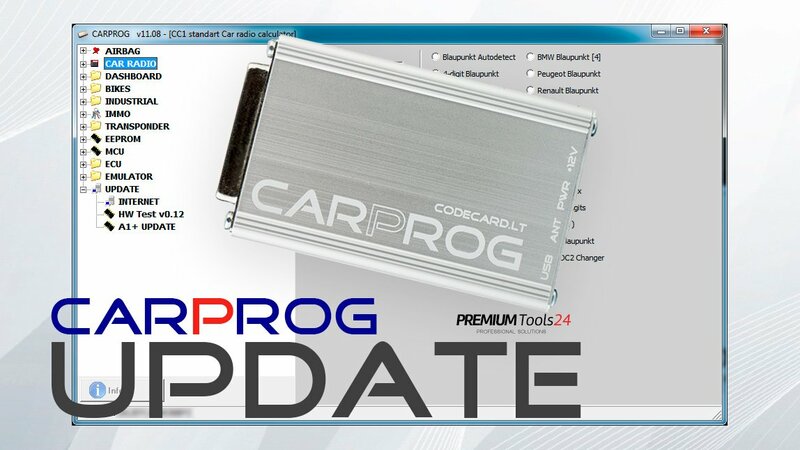 it means, if you buy the "Software update to CarProg FULL version" and the next day an upgrade will be released, you are not eligible to newer software because date of your purchase was one day before. I am the owner of the original CarProg Unit. 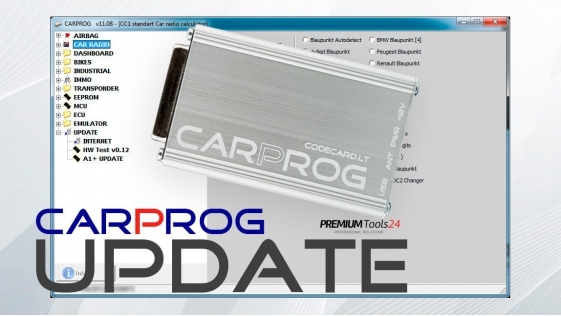 This software is only for the original CARPROG programmer owners. 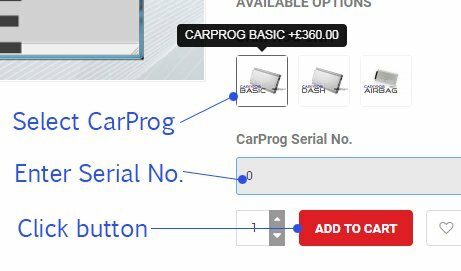 If you are the owner of CarProg BASIC, IMMO, DASH, Enter the serial number above the [ADD TO CART] button and click [ADD TO CART]. - Where is the serial number located? I do not have a CarProg and going to to buy it. 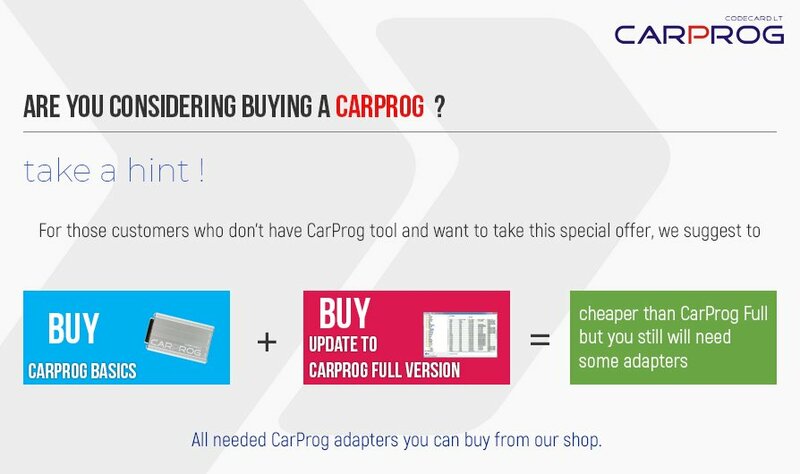 - Add the selected version of CarProg to the basket which can be find as an option above or add CarProg versions separate to the basket from our store. 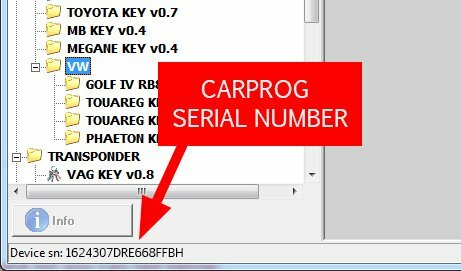 If you are unsure if your CarProg is original, send us your serial number, we will check it out for you, and reply within 24 hours. If you buy "Software update to CarProg FULL version" and give us a stolen or cloned serial number. Your order will be canceled and you will receive a refund but we will charge you £5 handling costs.